The Super Bowl is such a big game in so many ways. Whether one thinks in terms of the NFL as a business itself, advertising revenue, merchandising revenue, tourist money flowing into the hosting city, etc, the implications of sixty minutes of playing time between two football teams on one field represents a massive and very profitable undertaking. The food industry is a key part of this “big game” machine. This past year the Retail Advertising and Marketing Association gave us in the food industry a lot to chew on when they reported that an estimated $10.1 billion dollars would be spent by consumers on “game-related merchandise, apparel and snacks” on last year’s Super Bowl! As it turns to Super Bowl season this year, let’s take a moment to look at the economic realities of the big game. 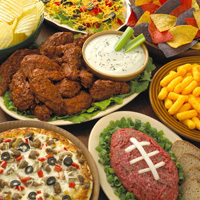 The Times Union reported that snack foods are an obvious pick for parties and gatherings: “Americans double their consumption of snack foods on Super Bowl Sunday, downing more than 33 million pounds of chips, pretzels, nuts and other treats.” Other favorites include chicken wings, pizzas, and sub sandwiches. The National Chicken Council estimated that 1.25 billion chicken wings were consumed by Americans during the 2010 Super Bowl weekend alone. As the next example will highlight, although the game is great for the snack and meat industries, it can also be a boon for produce. 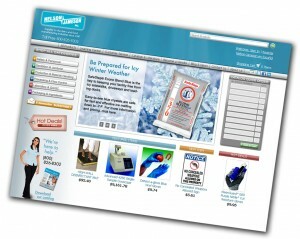 2012 will be a big year for our website. 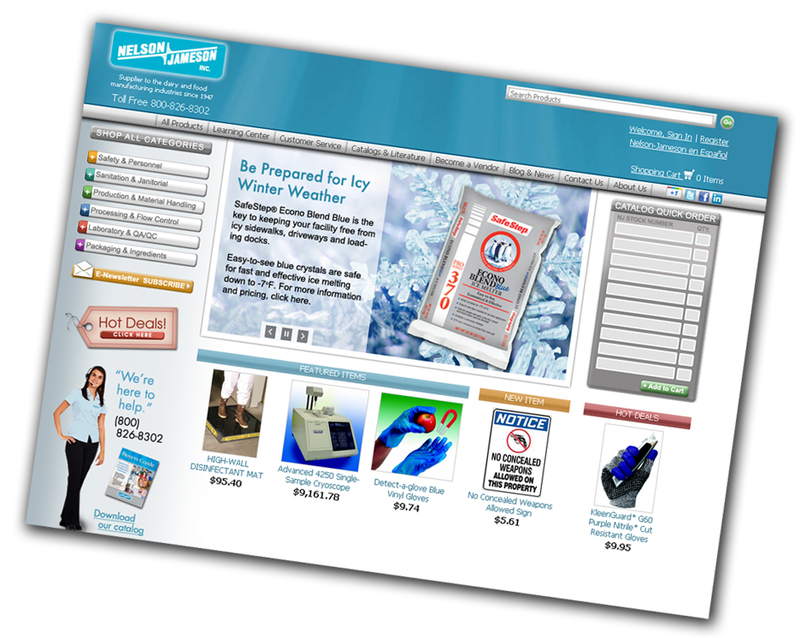 We are integrating our price, stock, shipping, payment and orders with our new computer system. Exciting year, and it’s just starting! Right now, we’ve added a few things to the website to make it easier for our customers to order and give them more information. 1. Shipped status per product for each order is available now in each customer’s account area on the website. 2. Customers can add additional email addresses per order to receive order confirmations and shipped/completed emails. 3. Now, everyone can sign up for our E-Newsletter, whether they are a customer or not. 4. Several updates have been done to the shopping cart page that gives customers more information about available vs. unavailable products. 5. Since the website is 24/7, we’ve now implemented web cut-off times for Truck Route orders. For instance, if the customer’s next route is tomorrow and it’s after 5:00pm when they check out, or if their next route is on Monday and they are ordering on the weekend, they will not see that route date as a shipping option. Instead, they will see the next route available after that. Plus, they will always see regular shipping options that are available. We welcome your feedback about other enhancements you would like to see on our website. Comment on this post if you have an idea that you would like to share! Even though Christmas was only three weeks ago, it feels more like months have gone by. Time is a funny thing. Days can feel like weeks or go by in minutes depending upon what you are doing. I am not sure why (It could just be me, I am weird like this), but fall seems less long ago to me than the holidays do. 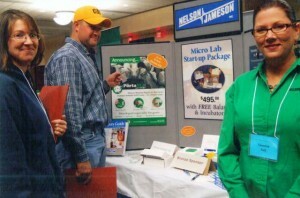 This past fall I had the opportunity to attend and run our booth in Platteville, Wisconsin for the Focus on Goats Conference. First, I would like to commend our truck drivers who weekly have to drive the routes in this area. For those of you who have never been to this part of Wisconsin, it is quite a trip. There seems to be some unwritten rule that outlaws any road that goes in a straight or non-hilly direction for more than a few feet. It was like some crazy roller-coaster ride with farms peppering the hilly terrain. In my mind I could see our trucks rolling up and down these hills bringing our customers their orders like Santa Claus. 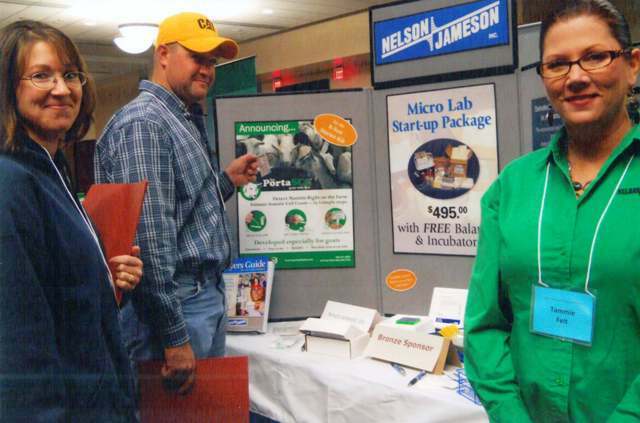 The purpose of our presence at the goat show was to build relationships with the producers and let them know we have many lab items that would be a great fit for testing their milk and animals. They learned a lot about what we do, but not as much as I learned about the goat dairy industry. Goat folks, as I like to call them, are a different breed (really- no pun intended). They are a down to earth, hard working, not afraid to get dirty, loyal people. They take what they do very seriously, and don’t waste a lot of time on silly non- important matters. Animal care, quality milk, and a happy life are some of their cornerstones. I visited with some of the youngest attendees who had goat herds of 30 or so. They sold milk, soap, lotion, ice cream and yes, goat meat. These girls also had other animals but they were now “in the freezer” I was told. Don’t have enough room for a large incubator to perform bacteria testing? We have learned there is another option to detect lactic acid bacteria without using gas packs or gas jars. 3M™ has validated a procedure in salad dressings, ready-to-eat meats, ready-to-eat salads and stainless steel surfaces – using Aerobic Count Petrifilm™, double-strength MRS broth and Chlorophenol Red as an alternative to the older method, which requires a modified atmosphere. Save space, time, labor, materials and clean up, while improving recovery of these troublesome organisms in food and environmental samples. 3M™ Petrifilm™ Plate performance has not been evaluated with all combinations of microbial flora, incubation conditions and food matrixes. Call one of our Technical Sales Specialists at 800-826-8302 for more information about this easy three-step method.